The particle engineering community will soon have a new DynoChem template to work with. Probably available in the April DCR update (number 61), we have implemented the Vogel & Peukert model and users can now simulate either wet or dry milling as a means of adjusting and controlling crystal size. 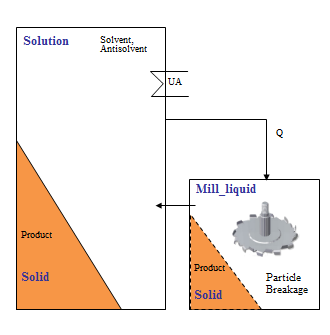 And you can link the milling model to a crystallization model to crystallize while milling. Well, that's what you get when you work with a modeling platform that is fit for purpose for today's pharma industry. Watch out for more new tools like this in our monthly updates. Happy Easter to #DynoChem users everywhere.